Industry folk agree pretty resoundingly that Lady Gaga is about to have a very big moment. 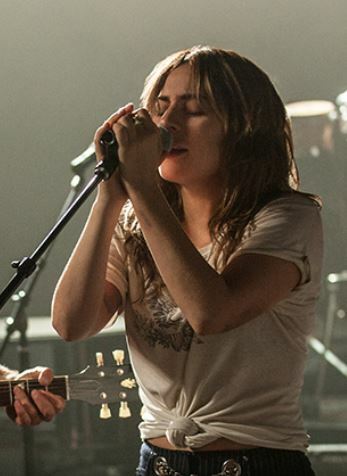 A Star Is Born already looks gigantic as both movie (scoring a terrific $43m opening weekend on about 3.7k screens) and Interscope soundtrack (dominating at iTunes and a contender for #1 on our chart with a likely first-week total north of 150k). Both, it need hardly be added, are supercharged by Gaga’s charisma and talent. In fact, this chapter is only the latest in a string of successful choices she’s made—none of them obvious. The idiosyncratic, glam-pop trailblazer who once rocked the meat dress claimed a whole new audience singing standards—and very much holding her own—beside the legendary Tony Bennett, snagging a Grammy. She had a riveting Oscars moment in 2016, performing “Til It Happens to You,” joined onstage by victims of sexual abuse. Then she made a splash as the vampiric lead on American Horror Story and earned a Golden Globe. In 2017 she offered one of the most satisfying Super Bowl halftime performances in recent memory. Now, with Star, she combines her superb singing with an acting performance that is an odds-on favorite for an Oscar. Clearly, no matter what field Gaga competes on, she’s a champion.